I created this program as Part II in my Master Class series of ‘Scaling Up’ at the request of John Hoxmeier, Associate Dean, Graduate Studies at Colorado State University (CSU). 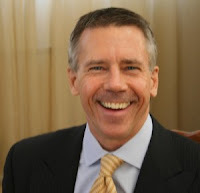 John is managing CSU’s executive MBA program in Kazan, Russia with students holding senior positions in state owned enterprises, Ministries of ICT, Industry, Trade & Development, the Tatarstan Presidential Administration and Tatarstan’s sovereign wealth fund. 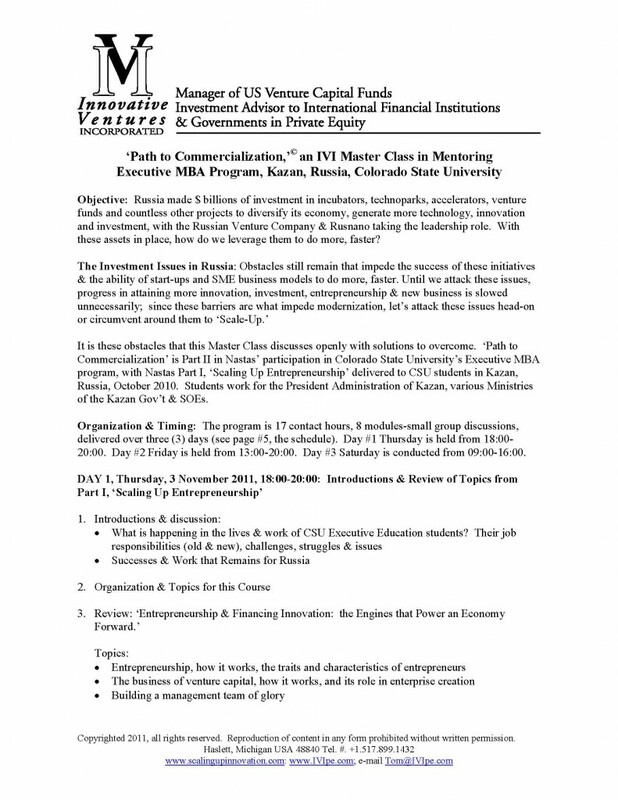 This Master Class was conducted 3-5 November 2011 in Kazan, Russia. CSU earned the personal attention and congratulations from the President of Tatarstan, Rustam Minnikhanov on the 1st of December 2011, and I’m honored to have played a small role in this success for John, CSU and the USA. To view the program in English, its content, learning and ‘Scaling Up Innovation’ objectives, just click on the icon below. Write me at Tom@IVIpe.com to learn more about this program & its delivery in your region or country to stimulate more innovation, entrepreneurship and venture capital.